Gaining a potential client’s attention is the first phase of the sales funnel strategy. One of the best ways to reach clients is the ability to recognize their particular issues that they are facing and offer a valid solution. For example, if they need to access data from a variety of locations, you can explain to them the use of cloud services. The many benefits of cloud technology will immediately gain their attention and help you sell your services. Over time, you will be able to readily identify the specific needs of potential clients and offer services that will help meet their needs. Once you gain a potential customer’s attention, the next step is retaining their interests. One of the best ways to do this is to explain solutions to their problems in an easy to understand manner. You can offer various solutions to real world problems that they are currently facing. Personalizing these solutions will retain their interest while demonstrating that you can provide IT resources to meet each need. For example, if they are concerned about security, you can explain about the various updates to improve safety that is provided on a routine basis. The third step in the sales funnel strategy is the ability to move interest into desire. One of the best IT marketing techniques is creating a desire for the services that you provide. Emphasizing the many benefits of using a managed service provider will help create a desire in using your services. If they are concerned about customer service, stressing around the clock support may be the tipping point between using your services. Through practice, you will become much more effective in creating a desire for the services you provide. The final step in the sales funnel is the action stage. Without action, the sales funnel strategy is useless. Once the potential client has a desire for your services, it is important to transition into the action phase. Some of the best ways to facilitate action are through the use of how-to guides, case studies and various examples of the services you provide. Sufficiently providing these examples will enable you to reach new customers and help grow into a successful MSP. 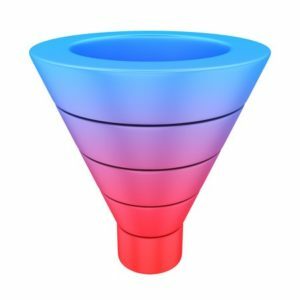 The use of the sales funnel strategy is an effective IT marketing technique that can help your business grow and reach many more customers. MSP SEO Factory specializes in helping MSPs reach their fullest potential. Our goal is to help you utilize the latest marketing techniques in an ever changing environment. Contact us today and let us help you reach new clients.